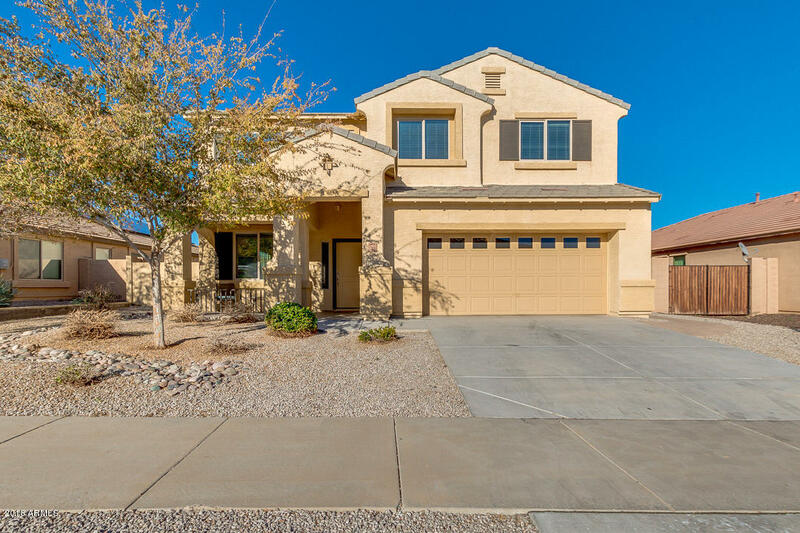 All SARAH ANN RANCH UNIT 2 homes currently listed for sale in Surprise as of 04/23/2019 are shown below. You can change the search criteria at any time by pressing the 'Change Search' button below. 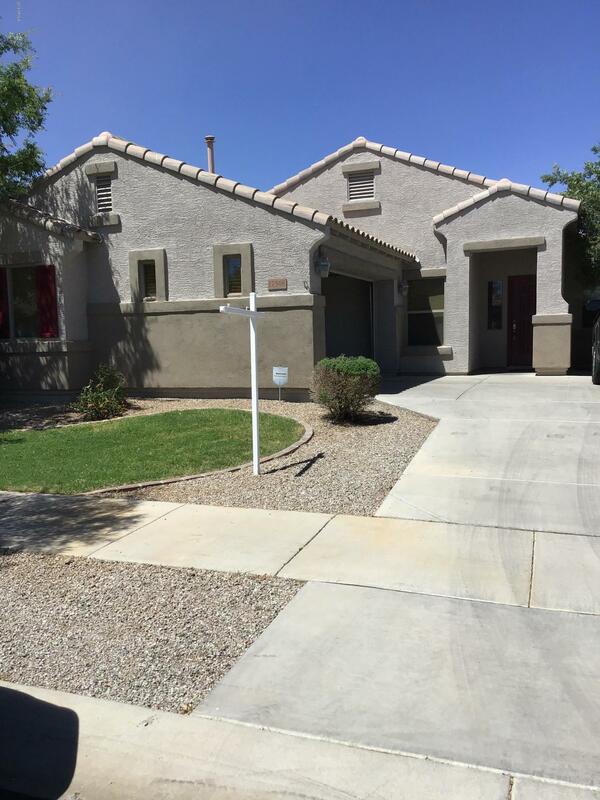 "Hurry and see this fabulous 4 bed, 2.5 bath home in Surprise! Featuring a 3 car tandem garage, dining and living areas, a spacious loft, brand new carpet and freshly painted neutral paint throughout. You simply won't believe your eyes! The gorgeous kitchen is equipped with ample cabinet and counter space, a walk-in pantry, matching appliances, and a charming island complete with a breakfast bar. Inside the grandiose master bedroom you will find a private sitting area, a full bath with double "
"Immaculate Taylor Morrison home in Sarah Ann Ranch, just a 5-minute walk from highly regarded Paradise Honors Middle and High schools and a 5-minute drive to the 303 freeway, all amid the quiet sanctuary and sweeping mountain views of one of the far West Valley's best neighborhoods. Great curb appeal, a beautifully upgraded interior and a lavish backyard for relaxing at the end of the day. 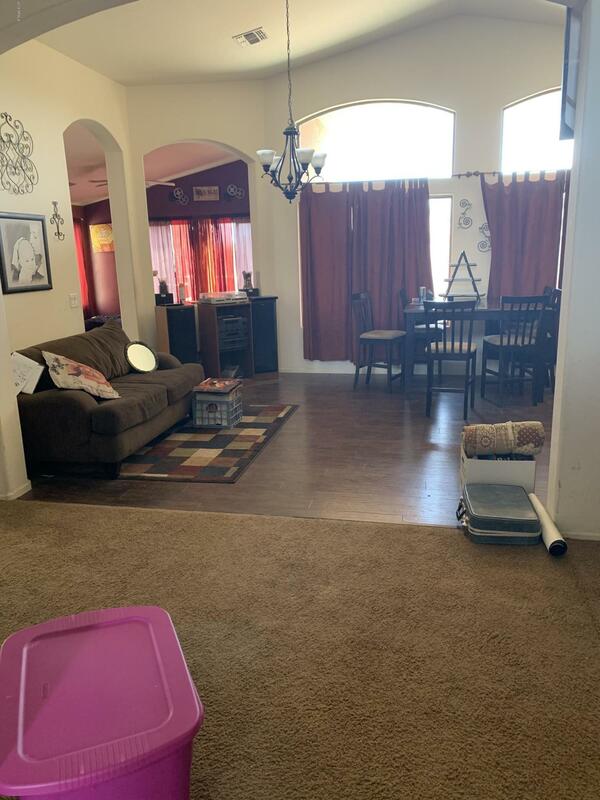 Once inside, kick back in the openness of your luxurious great room, with 10-foot ceilings, recessed-can li"
"3 bedroom plus a den (Could be 4th bedroom) located in the community of Sarah Ann Ranch in Surprise! Walk into the open living room with great views to the backyard.... 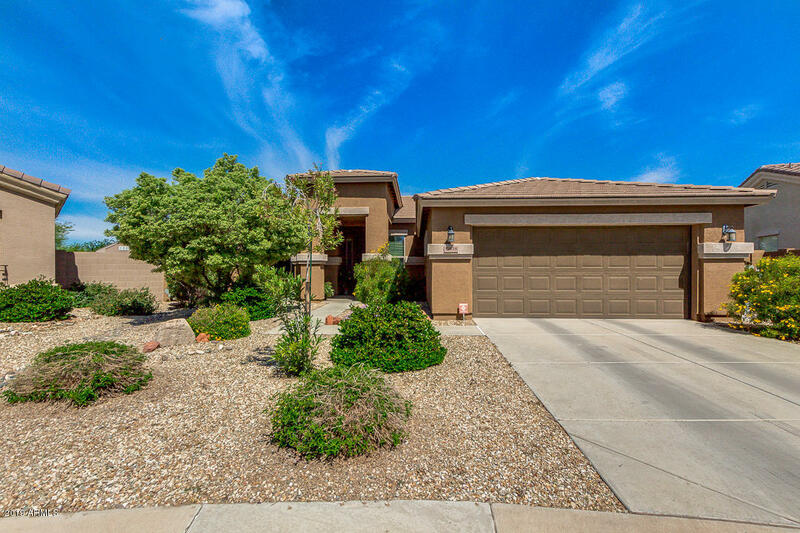 Kitchen opens to family room Master suite has separate tub & shower, double sinks, and Large walk in closet, A separate exit to the backyard patio...Backyard is ready for your landscaping ideas, You can make it your own... Enjoy the large covered patio great for entertaining. Down the street one way is a beautiful common area wit"
"This home has just been painted inside & outside. Sellers are willing to give $1000.00 to fans or flooring. Also giving a one year Home Warranty. Everything is nice and clean, counters are in excellent shape. NO WASHER/DRYER OR REFRIGERATOR! Lots of Windows in Garage. Home has front and back grass with sprinklers, and a large space for flowers or trees. Kitchen cabinets have space on top for your nic nacs. Home has a leased Home Security system already in place. Home faces North/South . A park"